The school nurse. Nanami is possibly the most feminine character in Sukisho (second most feminine would probably be Ran). The perfect housewife, Nanami cooks and cleans with a smile on his face. He lives with Shinichirou, whom he is in love with (they are seen sharing the same bed in the anime and the dramas show them to be married). He is very nice and easy to talk to, although he is constantly haunted with guilt because of his past where he worked with Aizawa conducting immoral experiments on humans in an effort to help Shinichiro with his own mental condition. There is hardly any difference between the games and the anime when concerning Nanami, but in the games he tends to be slightly more high strung (he can and WILL punch Shinichirou when he feels the need for it). 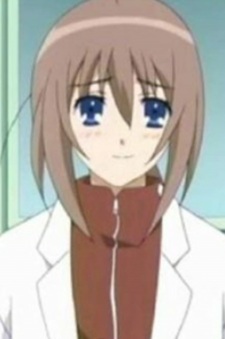 Nanami has brown shoulder length hair (may be slightly longer) and blue eyes.